MailUp released a free online version of their drag-and-drop email editor today. This email editor called BeeFree, allows email marketers to design fully responsive email messages without the need of any HTML or CSS coding knowledge. It lest email marketers to greatly improve productivity in the hml email creation process. How does their free Online Email Editor work? The BeeFree email editor uses the latest HTML and CSS standards for email design. The mails are fully responsive ideal for multiscreen viewing. The editor has a user-friendly interface with drag and drop functionality. 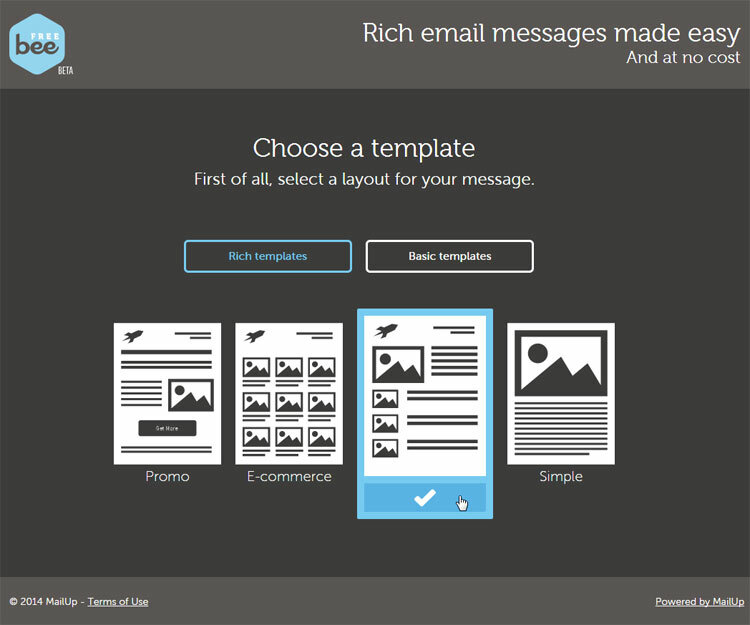 Email marketers can create their branded email messages in BeeFree using pre-built email templates or starting from their own email design and wireframes. They can then save the HTML version of the email along with its images as a zip file, and upload it to their favorite email sending platform. Email professionals can do all of this without having to create an account or log into any service. Anyone can use the free online email newsletter editor without any sign up or registration. Responsive Email Design: Branded emails without the need of HTML or CSS coding know-how. The BeeFree email newsletter editor automatically applies the CSS media queries to the email you are working on, optimized for multiscreen views, and especially optimized for mobile. Premade Email Templates: Each email template has responsive email design.Choose from four types of templates: promotional, e-commerce, newsletter, and simple. Drag & Drop User-Interface: Customize your email by easily adding and moving (drag and drop) text, image, mixed blocks, buttons and social sharing links to the emails. 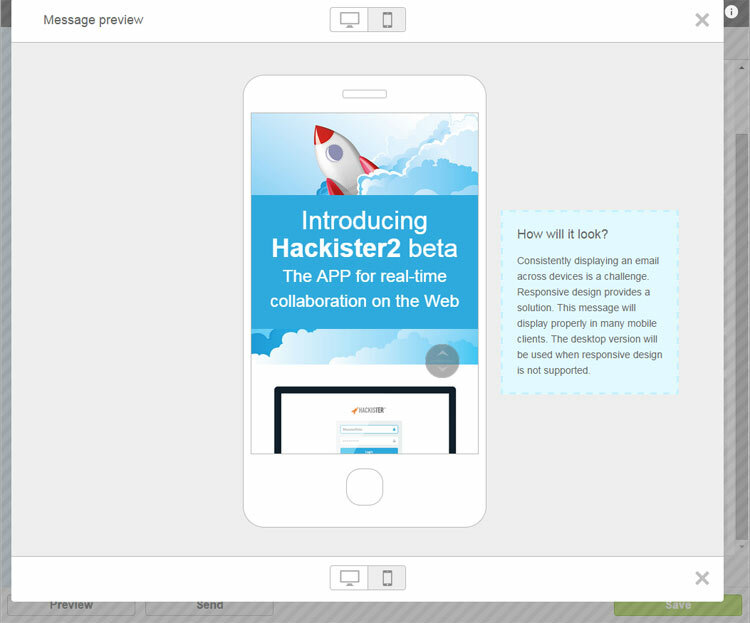 Instant Email Preview on Desktop and Mobile: Preview the working email message in real-time and check how it renders on desktop and mobile screens. Easy Export of Your Email: Save the email and export it as a zip file. The zip file contains the HTML version of the email and an image folder. The zip file can then be imported into your favorite email marketing platform. Available in 3 Languages: Choose English, Spanish, or Italian as your preferred language when using the editor. Will BeeFree be the Best Email Editor? Massimo Arrigoni, Chief Product Officer at MailUp: “The Bee in BeeFree stands for Best Email Editor: that’s a very ambitious goal that we have given ourselves. We decided that taking the email editor out of MailUp and making it a free product that anyone can use, was the right strategy to get there. The BeeFree editor is accessible today. Anyone can use without any sign up or registration. Email marketers also have the option to send their email created in BeeFree through the MailUp emailing platform by signing up to a MailUp account and requesting a free trial, if they decide they want to give MailUp a try. 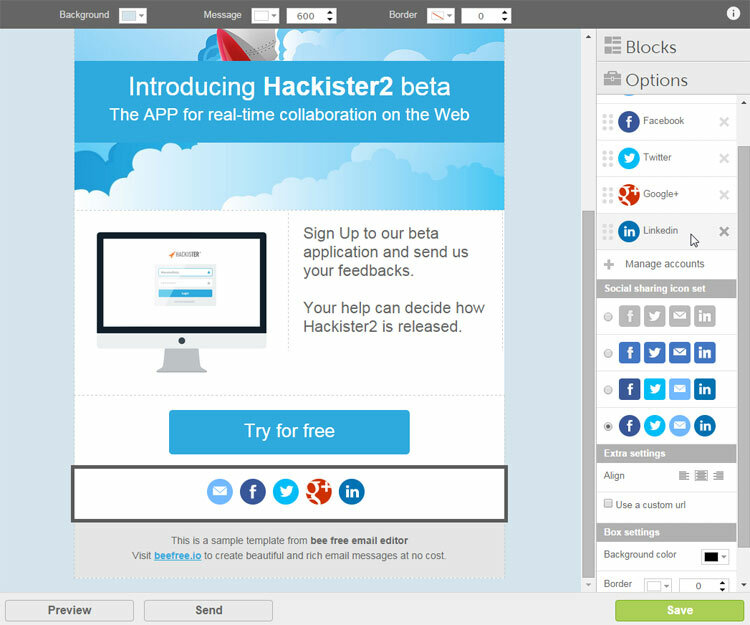 BeeFree is an email design creation tool and, as MailUp notes, is not intended to be used as an email sending platform. You can only send to a maximum of 5 email addresses for your testing purposes. Furthermore, sending unsolicited emails is of course not permitted.